BANGKOK, May 21, 2010 (AFP) - Thailand picked up the pieces Friday after violence and mayhem triggered by a crackdown on anti-government protests, as the focus swung to recovery and reconciliation in a divided nation. 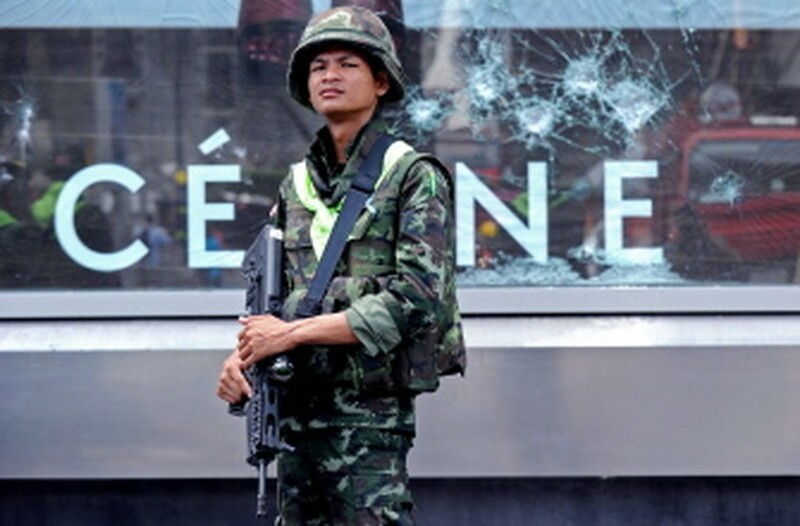 The army said it had nearly completed an operation to secure central Bangkok, crushing resistance from militants in the "Red Shirts" movement who went on the rampage after their leaders surrendered. Across central Bangkok a huge clean-up was under way after a terrifying outbreak of looting and burning that saw some 36 major buildings go up in flames including the stock exchange and the nation's biggest mall. "Time to Rebuild," the Nation newspaper said in a front-page banner, as reports said the damage bill from the torched buildings alone could reach 40 billion baht (1.2 billion dollars). But even after Bangkok's shopping centres and five-star hotels are hosed down and reopened, the emotional wounds of unrest that has left 83 dead since mid-March will take much longer to heal. Thailand is largely split between the Reds, mostly urban and rural poor who are demanding the ouster of a government they condemn as undemocratic, and rival pro-establishment "Yellow Shirts" who represent the nation's elites. "No one knows how long it will take to close the deep divisions that have been opened within Thai families and society," the Bangkok Post said in a front page editorial. "Whatever our future, there is no doubt that all Thais -- no matter what our personal beliefs and views -- must play a role in ensuring that such a dismal state of affairs never happens again." Thaksin's elected allies were then ejected in a controversial court ruling, paving the way for the administration of Prime Minister Abhisit Vejjajiva to be appointed in a 2008 army-backed parliamentary vote. Bangkok and 23 other provinces in the rural north and northeast -- the Reds' heartland -- have been put under a curfew until Sunday to try to contain the conflict and prevent it from spreading across the nation. "Clearly, with the events that took place over the past several weeks, and the pictures of these events flashing across TV screens across the world, it is going to have a very disastrous impact on tourism," Finance Minister Korn Chatikavanij said in Tokyo. The government also faces a difficult task to convince investors they should support the "Land of Smiles", said Nandor von der Luehe, chairman of the Joint Foreign Chambers of Commerce in Thailand. 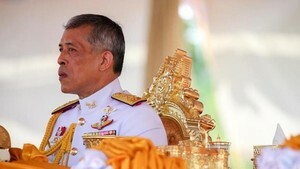 "Decisions are made outside Thailand and executives who see Thailand is burning will not put their investments in that country," he told AFP. "You build a reputation over a long period of time and you can destroy it overnight." Business large and small have borne a heavy burden during the conflict and tens of thousands have been put out of work with the capital's main shopping district paralysed. "I have suffered a lot from what has happened," said Kanda Singla, a 27-year-old streetside food vendor who searched for customers in vain at the Nana tourist district. "I really hope it will end soon and my life and my business can go back to normal because things have been very dangerous," she said, adding that with so many jobless she was fearful of outbreaks of looting and thefts.